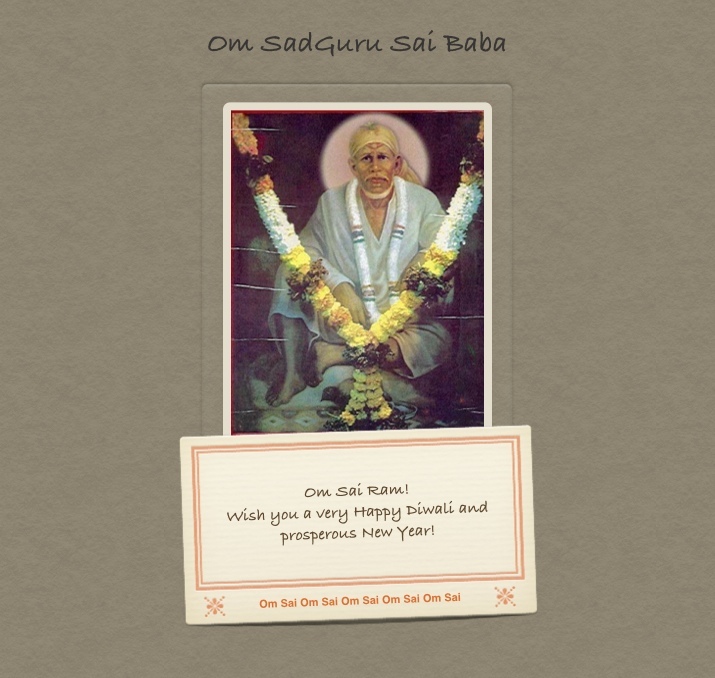 Here is a Diwali wishes card for all Shirdi Sai Baba devotees! May Baba be always with you. May the remembrance of Baba, Grace of Baba be always with you. The guidance, protection and presence of Sadguru be always with you. Here we have two links of Sai Baba stories, the first one is described in Sai Baba taking physical sufferings of devotees on Himself. The story of Baba getting His own hand burned to save a distant child happened on Dhanteras, two days before the day of Diwali. However Dhanteras, is considered as one of the auspicious day of Diwali itself. The other story of Baba we can again experience while reading it, is one of the miracles of sai Baba, this was the incident which had changed many people of Shirdi, changed the way they looked at Baba. Few considered Him divine, most as mad Fakir. After the below described miracle happened most of the people started revering Baba. It was miracle of lighting lamps with water. In the times of Diwali Sai Baba used to lit many more lamps than usual which illumined whole of the Dwarkamai. Other wise for those who experience, Dwarkamai is always illumined with Baba's grace and love. Bolo SatChitAnand SadGuru SaiNath Maharaj Ki Jai!